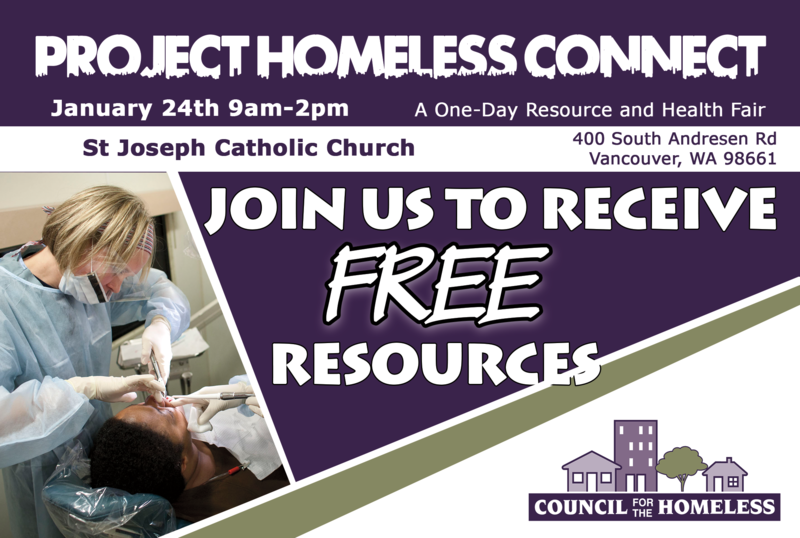 Thank you for helping at Project Homeless Connect 2019. Here is some information all volunteers will need for January 24, 2019. Parking – All volunteers are asked to park on Andresen and not in the parking lot. The church would like to reserve the limited spaces in the parking lot for the guests. This is a change over last year. The only restriction is the space at the bus stop in from of the church. Volunteer Training – We will have a volunteer training at 8:00. Please plan on arriving at 7:45 to fill out your volunteer waiver. Personal Belongings – We will not have a volunteer room for you to store your belongings, but it’s best to come minimally. Tshirts / Attire – If you have an event t-shirt from last year, please feel free to wear it. Lunch – Lunch will be served at 11:00 and you should feel free to grab some lunch and sit down with a guest. Assignment – All assignments will be made at the Volunteer Training. Questions – If you have any questions, please email me at david@goconnect.org. Thank you again for volunteering and we will see you at St. Joseph Catholic Church on January 24th. Would you like to help out in a way that you don't see? Please contact david@goconnect.org if you would like posters or postcards to help promote the event.